Last week, a snake catcher in Australia removed a seven-foot python that had slithered through an open door and climbed into the shower. In another Australian home, a woman found a python in her toilet bowl. The reason for such serpentine domestication: It’s hot in Australia. Record-setting hot. Temperatures hit 117 in Sydney recently, the hottest it has been since 1939. Reptiles are looking for shade and water like everyone else. Meanwhile, it’s record-setting cold in the northern US. 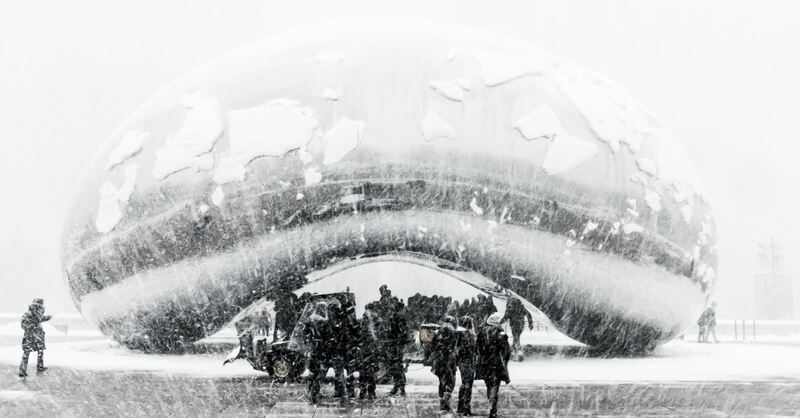 Chicago had a wind chill of negative fifty-two degrees yesterday morning. Nearly ninety million people are likely to experience temperatures at zero or below. People in Minnesota could get frostbite after five minutes outside. Beer can’t be delivered in some parts of the Midwest because it would freeze before arriving. As I write this Daily Article, the temperature in Madison, Wisconsin, is minus twenty-six degrees. Much about today’s news leaves us feeling powerless. The death toll from the Brazilian dam collapse has risen to ninety-nine, with another 259 missing and feared dead. A gardener in Toronto has pled guilty to killing eight men, some of whom he buried in planters. Floods in Saudi Arabia have killed at least twelve people. If we believe in an all-powerful God–or even if we don’t–we wonder why he allows so much suffering in his creation. If a car had as many problems as our planet, we’d hold the manufacturer responsible. Of course, this analogy breaks down when we discover that the Fall, not divine mismanagement, led to the brokenness of our planet (Romans 8:22). Dostoevsky notes in The Brothers Karamazov that, after centuries of living under Christendom’s authority, humans have finally declared ourselves free from God’s sovereignty. We’re convinced that we can do what we wish, when we wish, with no divine consequences. But we can’t have it both ways. We cannot refuse to live by God’s word and then fault God for the consequences of our disobedience. We’re like people who drive our car into a tree and blame the company that made the car. While it’s illogical to blame God for the results of our sinfulness, it is reasonable to ask why he doesn’t do more to intervene in our broken world. There is much he can do without violating the freedom he has given us. If Jesus could heal the sick, raise the dead, and calm the storms, why is there so much sickness and death and disaster today? In the book of Esther, the wicked Haman plots a genocide that will massacre all the Jews of Persia. Esther then plans an elaborate strategy to win the king’s favor and prevent this holocaust. She invites the king and Haman to a feast. Afterward, the king promises to grant her anything she asks. Her request is that the two men come to another banquet the next night, at which she plans to ask him to intervene on behalf of her people. What she does not know is that, after the first feast, Haman will see Mordecai in the city gate and become infuriated that the Jewish leader won’t bow before him (Esther 5:9). Haman’s wife and friends will encourage him to build a gallows seventy-five-feet tall and hang Mordecai on it the next morning. Then he could “go joyfully with the king to the feast” (Esther 5:14). If this plot comes to fruition, Mordecai will be executed before Esther can protect him. But after the first feast, the king cannot sleep. He asks for “the book of memorable deeds” to be read to him (Esther 6:1). Here he learns that Mordecai exposed a plot against him some years earlier. He asks how Mordecai has been honored and learns that “nothing has been done for him” (Esther 6:3). So, the king orders Haman to honor Mordecai. Rather than hanging him, Haman gives him a royal crown and robes, then parades him through the streets. That night, Esther exposes Haman’s plot and saves her people. Here’s my point: God was working in ways no one knew to do what no one imagined. Of course, our secular culture rejects such faith in divine providence. Freud denies divine sovereignty because he cannot understand it and thus considers it to be “incongruous with reality.” However, it is contradictory to posit a sovereign God and then expect finite, fallen human minds to comprehend his ways. The “reality” Freud experiences is not all the reality there is. Where will you begin today? Now you and I face a choice. We can side with secularists like Freud, rejecting God’s goodness and omnipotence if they seem to be contradicted by what we understand of our present circumstances. Or we can trust that the King of the universe is ruling his universe. “The Lord sits enthroned as king forever” is a present-tense reality, whether we see his hand at work or not (Psalm 29:10). The fact that his ways are higher than our ways and his thoughts than our thoughts is only logical (Isaiah 55:9). If you will trust the challenges you see to the God you cannot see, you will make an impact on your skeptical culture beyond measuring. For more from the Denison Forum, please visit www.denisonforum.org. The Daily Article Podcast is Here!